The Zig Side Table is organic wood made from teak wood and carved in Indonesia. With elements of beautifully designed craftsmanship is a true representation of its native origin. 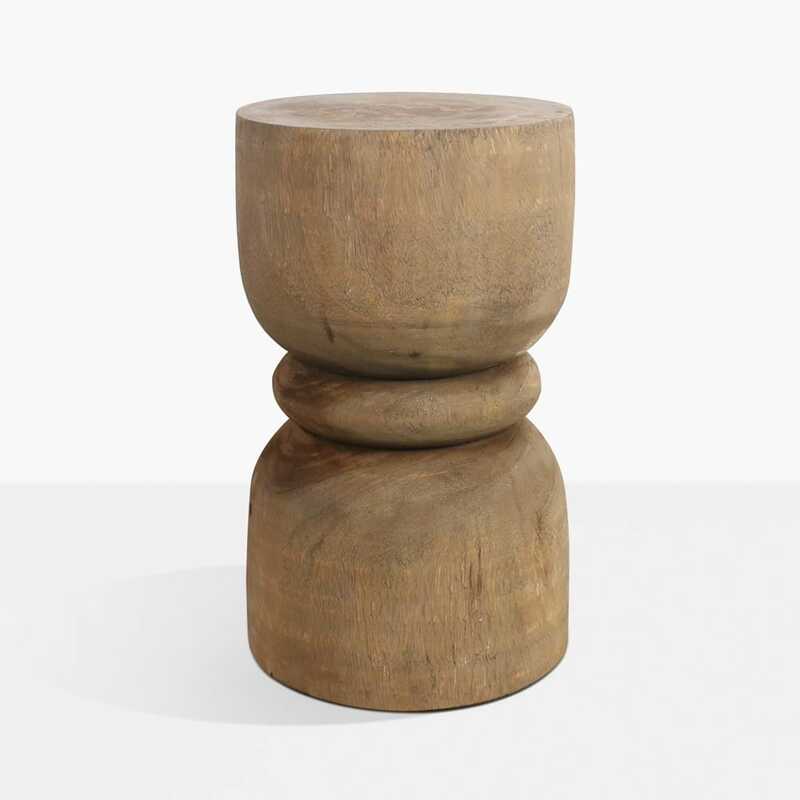 Organic with an industrial look, these side tables will fit perfectly into your outdoors or indoor space. These side tables look great alone or combine them with the other side tables from this collection to create a truly unique décor. Please note that each piece is different and unique meaning that each will vary slightly in size, texture and hue.